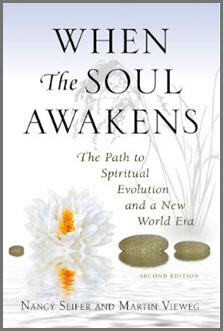 When the Soul Awakens is a groundbreaking book about the evolution of consciousness and the dawn of a new era. It holds the vision of a new world emerging from the wave of universal spirituality spreading across our planet. Informed by the Ageless Wisdom, it traces the evolution of humanity to the present Shift of the Ages and points toward a new civilization and culture that will arise from the soul's awareness of the oneness of life. Highly praised for clarifying the nature of the soul, the higher Self of a human being, the book weaves together insights from sages, seers, philosophers and poets through the lens of the Ageless Wisdom. It illuminates the stages of the soul's evolutionary journey, depicting the path ahead for awakening humanity as a collective passage into a higher dimension of awareness. This book carries a message of hope. It is imbued with the promise of a gathering wave of awakening souls having the collective power to materialize a new reality on Earth.